Each day, dangerous drugs cause serious injury or death to unsuspecting consumers. Frequently, when a manufacturer rushes a product to market without adequate testing, the manufacturer knows that its product is dangerous. Unfortunately, in many instances, serious injury or death resulting from the use of such products could have been avoided had the manufacturer properly tested its pharmaceutical and medical device products. Whether a drug is unsafe because of faulty design, failure to provide adequate warnings or an error in the manufacturing process, the manufacturers and distributers are ultimately responsible. The attorneys at Kiesel Law LLP have the experience, skill and commitment to litigate pharmaceutical cases. Our lawyers force manufacturers to take responsibility for selling defective drugs and devices. 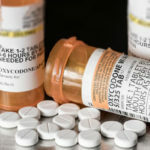 Litigation is often the only way to make giant pharmaceutical companies understand that the public will not tolerate life threatening drugs and unfair business practices. Kiesel Law LLP is committed to halting the sale of defective medical devices which have injured patients. Consumers should not suffer the consequences of hasty design and unsatisfactory laboratory testing. For instance, faulty hip implants, such as the recently recalled DePuy ASR Hip System and other metal-on-metal hip devices have been found to loosen, break, and release toxic metal ions into the bloodstream. Often, patients are forced to undergo excruciating explantation and revision surgery to correct the problems. Legal action will ensure that the manufacturers of these devices are held accountable for their mistakes and patients get compensated for their injuries. If you would like to learn more about Kiesel Law LLP’s defective drug and medical device practice or receive a free consultation, please contact our firm.